Graves’ disease is an immune system disorder that causes the immune system to attack the thyroid gland. The disorder causes the overproduction of thyroid hormones, which is also known as hyperthyroidism. There are many disorders that can cause hyperthyroidism, but Graves’ disease is a common factor. Thyroid hormones affect various parts of the body, which means signs and symptoms associated with Graves’ disease can be wide-ranging. The disease can affect anyone, but it is most prevalent among women who are under 40 years old. Graves’ disease occurs when there is a malfunction in the body’s immune system. The exact reason for the malfunction is unknown. With a normally-functioning immune system, antibodies are produced. These antibodies are designed to target a specific virus, bacteria, or other foreign substance. But with Graves’ disease, the body produces an antibody to a single part of the cells located in the thyroid gland. The thyroid is normally regulated by a hormone released by the pituitary gland (a tiny gland located at the base of the brain). With Graves’ disease, the antibody performs as the regulatory pituitary hormone and overrides the normal regulation of the thyroid. The result is excess creation of thyroid hormones. Blood Work: Your doctor will order blood tests to determine the level of thyroid stimulating hormone (TSH). They will also test the level of pituitary hormones and thyroid hormones. Physical Exam: Your doctor will likely examine your eyes to check for protrusion and your thyroid gland to see if it’s enlarged. Graves’ disease can increase your metabolism, so your doctor will check your blood pressure and pulse as well. Radioactive Iodine Uptake: In this test, a medical professional will give you a small amount of radioactive iodine. They will then measure the amount of iodine in your thyroid gland using a special camera. Your body needs iodine to make thyroid hormones so this test allows doctors to determine the rate at which your thyroid gland takes up the element. Ultrasound: An ultrasound can be used to determine if the thyroid gland is enlarged. This test is especially useful for people who can’t undergo the radioactive iodine test. Imaging Test: Your doctor may order an imaging test, such as a CT scan or MRI. Gender: Women are more likely to develop Graves’ disease. Age: Women under 40 are more likely to be diagnosed. Autoimmune Disorders: Individuals with other autoimmune disorders such as Type 1 Diabetes have an increased risk. Family History: Although it’s not proven, there’s likely a gene (or multiple genes) that can make one more susceptible to Graves’ disease. Smoking: Smoking can weaken the immune system and increase the risk of developing the disease. Pregnancy: Women who are pregnant or have recently given birth may have an increased risk of the disorder. Stress: Stress, both emotional and physical, can act as a trigger for the onset of Graves’ disease. Anti-thyroid medications inhibit the thyroid’s use of iodine to produce hormones. These medications can cause symptoms associated with Graves disease and can come with certain potential complications. Beta-blockers don’t inhibit the production of thyroid hormones. They do however block the effects that hormones have on the body. This can provide individuals with relief from irregular heartbeat, anxiety, irritability, heat intolerance, and numerous other symptoms associated with Graves’ disease. With radioactive iodine therapy, a small amount of radioactive iodine is consumed. The radioactive iodine destroys the overactive thyroid cells. This causes the gland to shrink which can reduce symptoms. Radioactive iodine therapy causes thyroid activity to decline so individuals who undergo this treatment typically need additional treatment to provide the body with normal amounts of thyroid hormones. Surgery removes part or all of the thyroid. Because all or part is removed, the patient will need to supplement with synthetic thyroid hormones. While complications are rare, risks include potential damage to the vocal cords. Graves’ disease can contribute to brittle bones so it’s important to get exercise. Weight-bearing exercises can help maintain strong bones. People with Graves’ disease tend to gain weight once their hyperthyroidism is corrected, but a diet that is rich in whole foods can help you maintain a healthy weight. Stress can trigger or worsen Graves’ disease which is why it’s important to control your stress level. Take time to relax. Take a bath, listen to music, go for a walk – whatever you prefer. Individuals who have untreated hyperthyroidism can experience brittle bones, also known as osteoporosis. This occurs because too much thyroid hormone interferes with the body’s ability to incorporate calcium into the bones, causing the bones to weaken. If Graves’ disease is left untreated, it can cause various heart conditions including heart rhythm disorders as well as a change in the structure and function of the heart muscle. In some cases, it can lead to congestive heart failure. Women who are pregnant and have Graves’ disease are more likely to experience preterm birth, miscarriage, poor fetal growth, and fetal thyroid dysfunction. Preeclampsia is also a possible complication that causes high blood pressure in expectant mothers. Thyroid Storm is a rare but life-threatening complication. Thyroid Storm is the sudden and drastic increase in thyroid hormones, which can produce a slew of effects. Some of these include fever, diarrhea, delirium, irregular heartbeat, sweating, vomiting, jaundice, low blood pressure, and coma. Of all people diagnosed with Graves’ disease, around 30% show signs and symptoms of Graves’ Ophthalmopathy. With this condition, muscles and tissues around the eyes become inflamed. If you or a loved one are living with Graves’ disease and need additional home care, we can help. 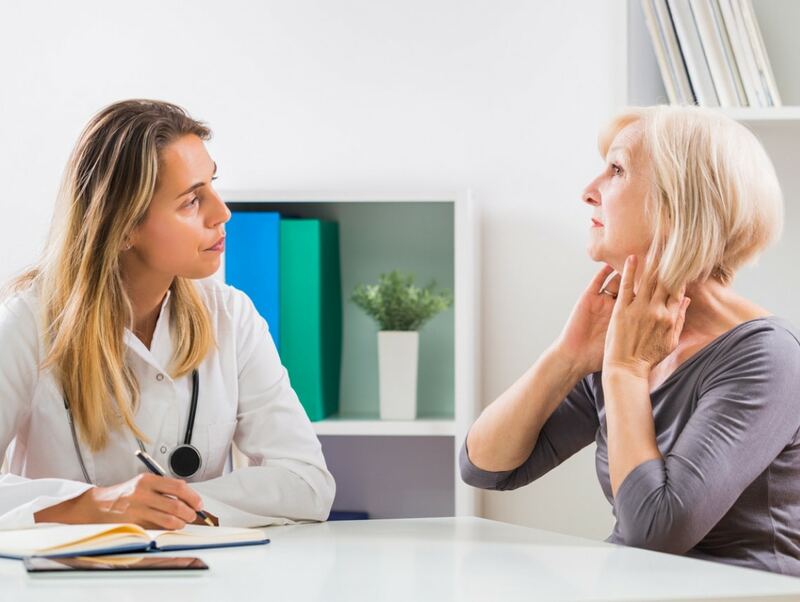 Our experienced home health care providers understand the symptoms and potential complications associated with Graves’ disease and can help you live the healthiest lifestyle possible.